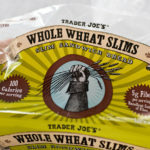 If you read about my bread debate, you know I’m conscious about choosing whole grain items for my family. Enter thin sandwich bread. 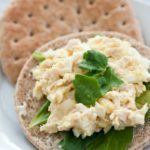 Sandwich thins, flats, slims, whatever you call them, they are round bread pieces that have become a recent staple in our pantry. While I greatly dislike diet foods – that’s another post entirely – I do believe thin sandwich bread rose out of a dieting culture with concerns that bread packs too many calories, grams of carbohydrate, and not enough fiber. First came the light breads that were low cal and pumped with fiber, but looked and tasted like air. 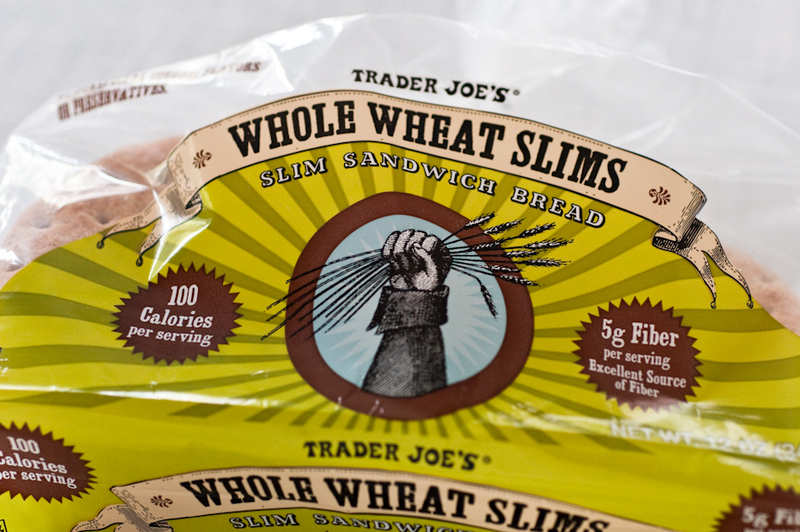 Thin sandwich bread on the other hand, has the denser quality of bread in a slim package. Thin sandwich bread offers a nice change of pace from standard bread, and since they go over well with the kiddie crowd in our house, I like them as a whole grain bread option. Favorite toppings include almond butter and honey, PB&J, melted cheddar cheese, or simply plain and torn into various pieces (many of which the dog eats off the floor). Whole wheat flour is the first ingredient in all 4 products. With exception of total ingredients and the higher sodium in the Arnold product, the nutrient comparisons are similar. All four products have salt as an ingredient, so the increased sodium (particularly in the Arnold product) may be due to the difference in preservatives used. Another striking difference to me is that the Arnold product contains sucralose, which really turns me off because I don’t care for artificial sweeteners. Granted it’s the next to last ingredient, so it’s likely a small amount, and the product doesn’t taste like artificial sweetener, but I don’t see a need for it to be included. In sampling all of these products, the Arnold does offer a denser texture, whereas the others were somewhat fluffier and went stale slightly faster. Do you buy sandwich thins? What’s your favorite brand? This sounds awesome, I love bread especially with melted cheese on it. I would like to see the carb contents to calculate Weight Watchers Points. I just had a Slimbun from America’s Choice (Pathmark) and I thought it was too sweet. I would be interested to see a comparison of the sweeting ingredients in the different brands.